For years, online advertisers have used consumer targeting to ensure their advertisements are shown to the right demographic. This has led to betters returns on investment for online advertising, and better ad experiences for consumers. However, due to growing concerns about the way data is used for online ads, Google is expanding some of its features that give consumers more control over the ads they are shown. While most consumers have experienced positive online ads, where the ads targeted to them are relevant and helpful, many consumers are growing frustrated with ads that targeted to them for reasons they don’t like. For example, if an advertiser is trying to persuade the public to accept a certain point of view, they could target people with the opposing viewpoint for ads. This is a logical thing to do, but it can be annoying for someone online to be bombarded with ads for things they don’t want to see. 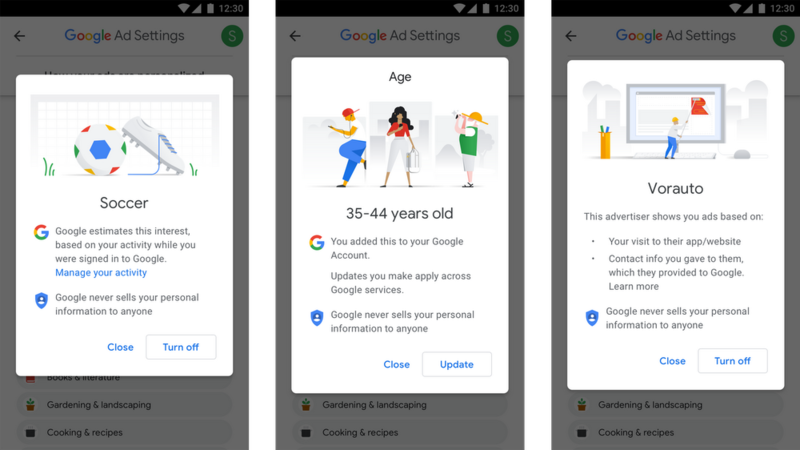 In an attempt to make the ad experience better for consumers and for greater transparency about who is paying for certain ads, Google is expanding it’s tools for Ad Settings to limit personalization. The company will also make it easier for users to opt out of certain targeting groups. In practical terms, this means that consumers can see why they were chosen for a certain ad campaign (i.e. which targeting demographics they matched) and the source of the ad. This feature has been available on Google for years, but it will now expand to all of their services and partner websites. By going to the “Personal info and privacy” section of their ad settings, users can opt out of allowing Google to personalize ads per data it collects on users, such as the information based on a user’s actions, information a user has added to their Google account or data Google’s partner-advertisers have shared with Google about the user (for example, if a user has visited an advertiser’s website or signed up for a newsletter). According to Google, turning off a factor means consumers will no longer receive tailored ads related to it across all Google services, websites and apps that partner with Google to show ads, as long as the user is signed in to their Google Account. However, this doesn’t mean an ad-free experience. The ads can still be based on general factors, like the subject of what they’re looking at or the time of day, or any other factor that is still turned on. This is probably great news for consumers and a necessary step for Google in the long run. Many consumers have begun using ad blocking technology for the sake of privacy and for a better online experience (no one likes being shown ads they dislike or find offensive). Making it easier to tailor the kind of ads that are targeted to them can help keep people from blocking ads and can help position Google in a better light when it comes to targeted ads. For marketers, the change is bittersweet. If people who are likely to ignore an ad turn off their targeting for certain factors, that’s less ad budget wasted on impressions with little likelihood to covert. On the other hand, anything that reduces the number of potential audience members increases the cost per click. Also, there’s are legitimate times when a business would want to target people with differing viewpoints. If a person turns off those ad factors, it can makes it harder to change minds on important topics. Just imagine how many people will turn off ad factors related to politics. Online campaigning for the mid-term elections just got a little harder for everyone. Advertisers should also be a little more wary about the kinds of ads and campaigns they run. 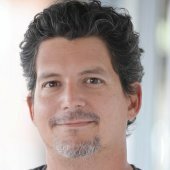 While it may have been an effective strategy to use provocative content in ads in the past, when people can easily see the source of ads or block things they don’t want to see, stoking controversy is a way to get people to turn off ad targeting or to block the targeting factors the campaign was using. To learn more about recent Google updates, read this article about new Google My Business features that can help local business owners.